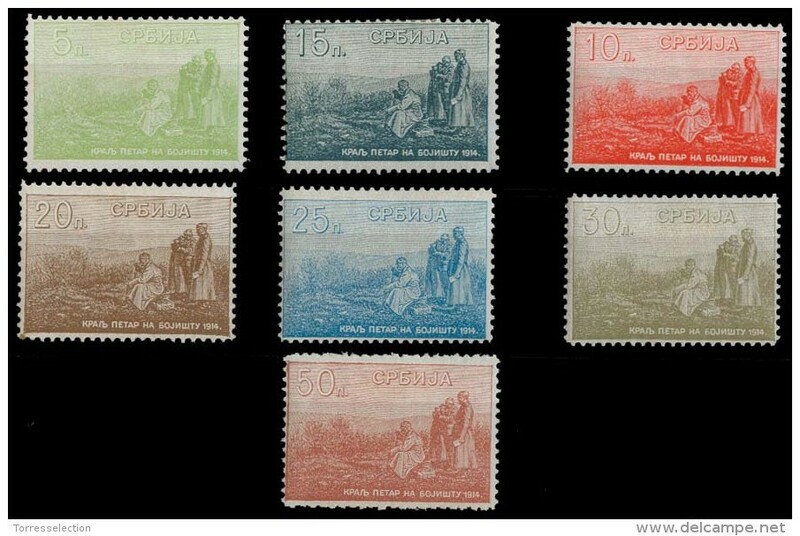 On 15th October 1915 a series of stamps were issued for use showing King Petar on a battlefield; however it is very unlikely that any were actually used for postage because of the conquest by German, Austrian and Bulgarian troops. However, it is believed that they were used as emergency currency. The Serbian army retreated to the island of Corfu. 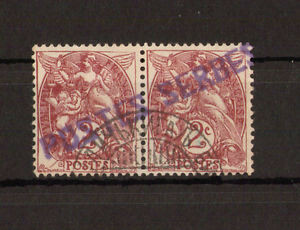 A civilian Serbian post office was set up and French stamps were used, overprinted POSTES SERBES and cancelled "MINISTSARSKA" in cyrillic during the period December 1916 - October 1918.